As the American playwright and social activist, Howard Zinn once said, “”Protest…is not a departure from democracy; it is absolutely essential to it.” In fact in many instances, public protest is the only way to hold a bad government accountable for their wrongdoings. Zinn’s words are resonant of an important advice by Martin Luther King Jr. the irrefutable champion of civil rights who said that it is the moral responsibility of a good citizen not to go along with bad laws. The late Shamar Rinpoche, the senior regent of the Karma Kagyu school of Tibetan Buddhism certainly found this to be true. In 1992, the Karma Kagyu sect was sent into a tailspin by an unjustified intrusion by the Tibetan leadership that fractured the ancient lineage until today. As custodian of this precious lineage Shamar Rinpoche witnessed the Karma Kagyu tear itself apart, all the time gently appealing to the Dalai Lama and CTA to cease in their interference and instead take remedial steps to arrest the damage and stop the discord, which had become violent. Shamar Rinpoche’s appeals and peaceful submissions fell on deaf ears. Instead, he was accused of being insubordinate to the Tibetan leadership, which in Tibetan nuance infers that he was not respectful of the Dalai Lama. This is a common ploy by the Tibetan leadership to silence dissension, which is to accuse anyone who refuses to toe their line, to be contemptuous of the Dalai Lama and wishing his early demise. In Shamar Rinpoche’s response to a letter of criticism written by one of the CTA’s agencies, he finally felt compelled to speak his mind and wrote, “I find it interesting that when the Dorje Shugden organization violently protested, accused and attacked the Dalai Lama, you were frightened into silence. But when we respond to the Exile Government’s dishonest interference in our internal affairs in a respectful manner, you are fearless and make bold accusations that we are being violent. This is wrong”. Shamar Rinpoche’s comment was not in fact intended to encourage resistance of the Tibetan leadership but a statement of fact. It was to highlight what he had observed the Tibetan leadership responds to. The Karma Kagyu was not the only Tibetan Buddhist sect the CTA had violated. The Dalai Lama and CTA imposed an unconstitutional ban against the Buddhist practice of Dorje Shugden in 1996. Tibetan Buddhists monks, along with lay practitioners who worshipped Dorje Shugden pleaded peacefully to the Tibetan leadership not to deny them their religious right. Instead of righting the wrong, which apart from desecrating a sacred Buddhist practice also constituted a direct breach of the basic human rights of Shugden Buddhists, the Dalai Lama instead escalated the persecutions of Dorje Shugden practitioners. The Tibetan leadership directed monasteries to expel Shugden worshipping monks and all CTA-related bodies were forbidden from employing anyone who refused to abandon their faith in the deity. Children of families that practiced Dorje Shugden were ostracised and some denied schooling and many Shugden Buddhist households could not even procure basic necessities because it became taboo to have any association with Dorje Shugden worshippers. The Dalai Lama had all but proclaimed Shugden Buddhists to be the new untouchables. The CTA even passed an official parliamentary resolution to criminalise the practice of Dorje Shugden. Dorje Shugden practitioners continued to appeal but just as Shamar Rinpoche noted, the CTA does not respond to truth and meekness and in fact this passiveness only emboldens it. It was only after the Dorje Shugden community outside the direct influence of the CTA began public protests and websites such as DorjeShugden.com started delivering news of the CTA’s mischief and abuses of powers, that it felt the need to exercise caution. Even then the CTA did not stop its discrimination of Dorje Shugden entirely but learned to disguise its oppression of Shugden Buddhists better. As protests and news of the CTA’s abuses became more pervasive, the Tibetan leadership began denying that there was such a religious ban but the evidence was undeniable. In recent years various international media groups investigated and began reporting on the CTA’s abuses. Widespread news of the CTA’s misconduct, and constant focus and reporting on its activities unnerve the Tibetan leadership and is just about the only factor that can keep this otherwise unfettered ‘government’ in check. 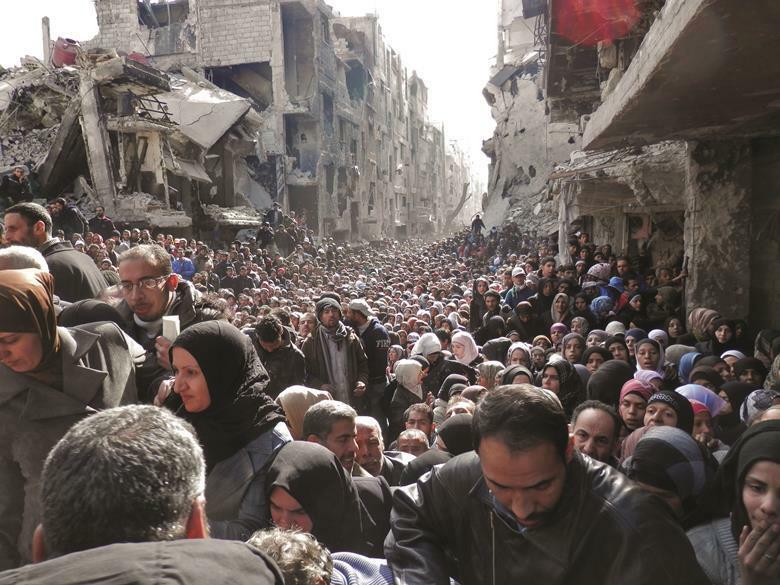 By todays standard, the Tibetan diaspora, estimated at 130,000 today is not the largest refugee group in the world– there are presently approximately 6.3 million refugees from Syria and about 2.6 million refugees from Afghanistan. However, the Tibetan refugee situation is still one of the most visible today due largely to the prominence the Dalai Lama commands on the world stage. Another significant factor is the continuing ability of the Tibetan leadership to package its presentation to the global community. In 1963, the Dalai Lama deftly promulgated what was supposedly a democratic constitution. It would have been much harder to convince the world to support a feudal lordship’s bid to regain its domain from a communist regime. Both feudalism and communism are deemed equally repugnant in a post WWII world that places a premium on democratic ideals. Apart from laying claim to being now an egalitarian society, the CTA also successfully presented the Tibetan people’s struggle not as a single political contention between two opposing sovereign states, but as a series of ‘just causes’. These causes such as human rights, peace, environmental protection and preservation of the Buddhadharma found backing from global support groups and the Tibetan leadership succeeded in creating the impression that they are defenders of these issues against China’s nefarious plans. Through these ploys, the Tibetan leadership has been able to harness the support of various international activists into its ‘struggle’ that justifies its own existence and purpose. Maintaining this public perception is crucial to the survival of the CTA and it invests tremendous efforts into keeping up the impression. Whilst the public perception of the CTA is far from reality, its pretence has been relatively safe because few Tibetan dared to speak the truth against the Tibetan leadership. However this changed when the CTA went too far in its transgressions that threatened the sanctity of Tibetan Buddhism and abused the rights of the very people they were empowered to protect. This, and not China may prove to be the CTA’s biggest undoing. Your Eminence Shamar Rinpoche, With the utmost respect, I want to ask you: Why are you and your “clique” of a few Buddhist teachers unknown to most Tibetans fighting very aggressively for the recognition of your “Karmapa” (www.karmapa.com)? You believe that you had the responsibility for searching him and you think that you have found the right Lama. Then why don’t you pray and be happy with him? If you have nothing to hide, why do you still indict other institutions? If you truthfully claim that no Dalai Lama ever had had a say in the internal affairs of the Karma Kagyu Lineage, then why do you fight so violently for the Dalai Lama’s recognition? On one side you claim that you fight for the survival of an old institution and on the other side you accuse and allege other old Buddhist institutions and high teachers, who should be working for the survival of their old Buddhist traditions, too. What is so problematic about letting Situ’s group (www.karma-kagyu-verein.de) follow their own Lama who they have found. If you are right, they can’t be a problem for you. Tolerance and respect is asked from both sides. Who is right and who is wrong, who knows. It is especially weird for a fellow Tibetan to hear from you and various members of your group all kinds of accusations against our Government in Exile. As a Tibetan you should know that Tibet was lost partly due to its rejection of modern technology and science that the thirteenth Dalai Lama had already introduced to the country. We are in the process of building a good democratic future government of Tibet. This is important for all Tibetans, not just for a small group. It would be good if you had a second thought on the consequences of your actions before you made them an object for criticism from outsiders. The Tibetans in exile have made mistakes, and we have learned from them. Democracy is nothing that comes out of the blue sky and can be installed instantly when we return to Tibet. It needs long term practice and experience. We have a golden opportunity to perform it now in exile, while our government resides in the biggest democratic country of the world. It is known to all intellectual Tibetans and Tibet experts in Tibet and outside Tibet that the future of the Tibet will be decided by the Tibetans and not any religious institutions. Tibet was lost because too many people from nobility and religious groups clang to their little field of interest rather than working together for the general good. These mistakes should be avoided in the future. I sincerely wish you a good health. Dear Mr. Tseten Trinley, I would like to respond point by point to your letter. You write: “…a few Buddhist teachers unknown to most Tibetans fighting very aggressively…” The Buddhist teachers you refer to as “unknown”, may be unknown to you, however they are quite prominent to many others– Tibetans and Himalayans alike. 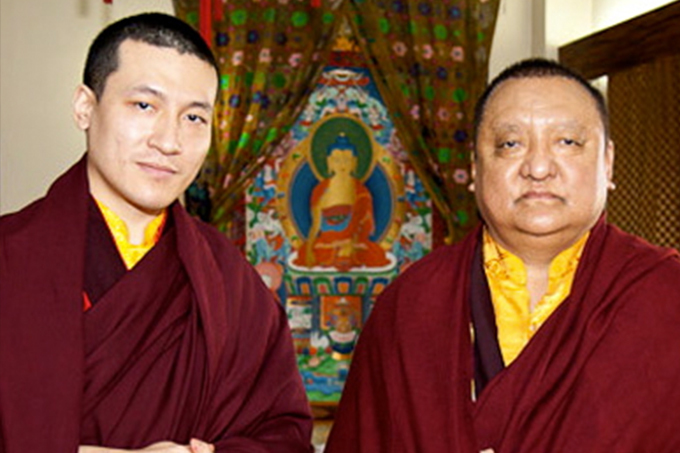 In any case, these Rinpoches are known throughout the world to actively serve the Karma Kagyu, and are definitely committed to opposing those who betrayed the lineage. We have never fought aggressively. It is well known in India and the rest of the world, that the traitors within the Karma Kagyu have initiated the fighting and have on three separate occasions physically fought against the spiritual teachers and monks who wish to preserve the authenticity of the Karma Kagyu. During the second and third of these aggressive actions, ‘Dotod’ people in the Tibetan Exile Government’s organization, joined the attack against the Karmapas monasteries in Rumtek and New Delhi. We have videocassettes of these attacks, but we have not circulated these publicly in U.S. and Europe, in order to protect the reputation of Tibet. Would you rather these cassettes were circulated to clear up the confusion of people like you? If you are certain that we have been the aggressors, please show your proof. We have suffered beatings and attacks patiently. Our response has always been to clarify the false accusations, allegations, misrepresentations of history, and lies that those who betrayed and their collaborators have disseminated. You write: “You believe that you had the responsibility for searching him and you think that you have found the right Lama. Then why don’t you pray and be happy with him?”If I were simply a follower of the Karma Kagyu Lineage, I could do as you suggest, be a devotee, pray, and not have to look for the reincarnation of Karmapa. But, I am ShaMarpa and I have the responsibility of protecting the lineage. The situation is not just a matter of finding the reincarnation, but now involves protecting the monasteries and the rights of lineage from those who wish to sell it out. I am a man of principle. 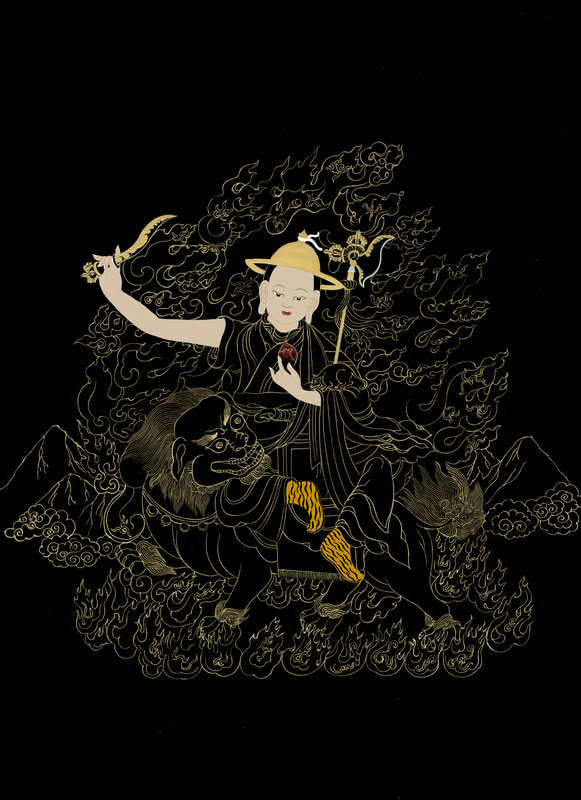 If you don’t know who ShaMarpa is, go to Bonn University where you will find the complete historical record of my past and my responsibilities. That I said something about another school that is baseless and untrue. That when I did say something critical about another school, it was said for reasons other than those specifically related to our current Karma Kagyu problems. You write: “If you truthfully claim that no Dalai Lama ever had had a say in the internal affairs of the Karma Kagyu Lineage, they why do you fight so violently for the Dalai Lama’s recognition?” I have never requested the Dalai Lama’s recognition for Karmapa Thaye Dorje. From the beginning to the present, my stand has been consistent: the Dalai Lama has no authority in the recognition of a Karmapa. Secondly, the world is witness to the fact that I have never acted violently. If you can prove otherwise, please do so. You write: “On one side you claim that you fight for the survival of an old institution and on the other side you accuse and allege other old Buddhist institution and high teachers, who should be working for the survival of the old Buddhist traditions, too.” The procedure by which the boy Ogen Trinley was recognized and enthroned as Karmapa was highly irregular and not in accordance with Karma Kagyu tradition. In late 1991, Situ Rinpoche secretly collaborated with the Chinese government in Beijing where they jointly decided to select Ogen Trinley as Karmapa. When Situ came back to India, he produced the so called prediction letter of the 16th Karmapa from around his neck-a letter for which we all had been searching for the last 11 years. How amazing! When I, ShaMarpa, and the 16th Karmapa’s monks demanded the letter be submitted to forensic testing because it was obviously written in Situ’s handwriting, Situ’s collaborators attacked Rumtek Monastery to prevent this from happening. Rumtek Monastery was both the seat and the most important monastery built by H.H. 16th Karmapa. I, from my position as ShaMarpa, do not want this to fall into the hands of a political puppet. Legally, Rumtek Monastery belongs to 16th Karmapa, not to the Dalai Lama. My brother and I are 16th Karmapa’s direct nephews and wish to protect his property from those who want to illegally take it over. I am one of the Trustees of the Karmapa Charitable Trust, the legal caretakers of the monastery. All of the Trustees except one, Situ Rinpoche, as well as Karmapa’s legitimate monks, support my view in this matter. Please tell me on what grounds, either spiritually or legally, the Dalai Lama has the right to make decisions over the use and ownership of the monastery that belongs to the 16th Karmapa, which is on land given to him by the Sikkimese king in 1960. You write: “What is so problematic about letting Situ’s group follow their own Lama who they have found…” We have never objected to Situ following his own Lama. You write: “It is especially weird for a fellow Tibetan to hear from you and various members of your group all kinds of accusations against our Government in Exile.” We never made accusations against the Tibetan Government in Exile until we were forced to defend ourselves against the Government in Exile’s involvement in the internal affairs of the Karma Kagyu. The shocking behavior of the Exile Government in taking the side of one faction while trying to destroy the other, made the internal problem infinitely worse. Their actions made it necessary to expose their treachery. But how did we do this? As always we did it in a nonviolent, responsible manner by respectfully explaining the events and historical context of the problem. I find it interesting that when the Dorje Shugden organization violently protested, accused and attacked the Dalai Lama, you were frightened into silence. But when we respond to the Exile Government’s dishonest interference in our internal affairs in a respectful manner, you are fearless and make bold accusations that we are being violent. This is wrong. You write: “We are in the process of building a good democratic future government of Tibet. This is important for all Tibetans, not just a small group. It would be good if you had a second thought on the consequences of your actions before you made them an object for criticism from outsiders.”This is exactly what we have been saying to the Exile Government of Tibet. You should direct this comment to them, not to us.. I congratulate you on your view. You write: “Tibet was lost because too many people from nobility and religious groups clang to their little field of interest rather than working together for the general good. These mistakes should be avoided in the future.” I do not agree that Tibet was lost because of nobility and religious groups. I think it was lost because religious institutions and lamas took over the government. In 1988 in front of H.H. Dalai Lama and many Tibetan religious leaders in Varanasi, from my position as a spiritual leader, I suggested that government and religion should be separated. Lay people should run the government in a democratic manner. I also specifically emphasized that H.H. Dalai Lama is the only one who can institute this change. Thank you for you interest. For the benefit of anyone reading this article, I would like to point out that the Western Shugden Society protests were not in any way violent. The protests were motivated by compassion, not anger, and were conducted in a peaceful manner. It seems that Shamar Rinpoche is not ready to make common cause with Dorje Shugden. We should wait for a later opportunity to make friends with him. Somehow the statement “I find it interesting that when the Dorje Shugden organization violently protested, accused and attacked the Dalai Lama, you were frightened into silence” is not accurate as Dorje Shudgen organization never act violence, accuse or attach Dalai Lama. This is just unfair that simply throw out such statement as it is quite misleading. Hope the party involved will take note on this.